Links told me that the smart home is here today and is driven by the multiple system operators (MSOs) or the cable/phone companies. 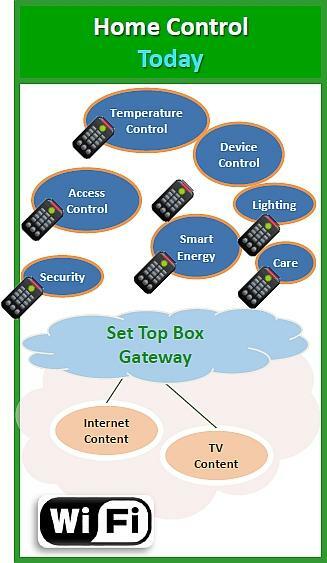 ZigBee is the standard for wireless throughout the smart home, due to interoperability and other features like set-top boxes (STBs) and gateways that have ZigBee integrated for remote control and other applications in the home. See Figure 1. The smart home market is huge, and many say there are 600 million homes with 100 devices/home, giving an incredible 60 billion nodes. What does the smart home look like for the future? See Figure 2. With Nest introducing new products and being bought by Google for billions of dollars, the smart home market will proliferate and grow. ZigBee is growing with use by giants like EchoStar, Comcast, Time-Warner, and AT&T. 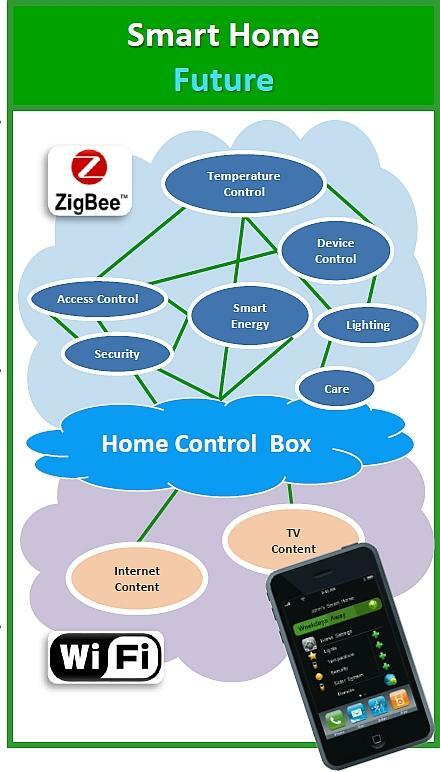 Expansion of ZigBee will be beyond what it was originally intended (STB and remote control).